I am a sucker for quotes. They wake me up. They make me think, encourage me to do and to see things I normally would not. “Beauty is in the eye of the beholder.” Very insightful, Plato. And very true. Sometimes beauty is easy for all of us to behold, for all of us to spot: a wondrous piece of art in a gallery window, a statue in a courtyard, an exquisite gem. But, beauty is also more subtle and lies hidden in plain sight, in what is commonplace. Art and beauty—all around us, in so many forms. Everyday life. Eight years ago my husband lost his battle with cancer. His passing changed my outlook on life. Look for the beauty in all things. Life is short. Appreciate! Sometimes, though, I forget to keep those things in mind as I get bogged down with the mundane chores of home and life. I forget to look around me and appreciate the beauty of each day…the art that is found all around me. I forget to dust off my soul. Those words came to mind as I was contemplating my weekend options: do housework or go off and tool around Whidbey. Whidbey won. Today is worth two tomorrows! Thanks, Uncle Ben for the nudge I needed to go explore and to keep in perspective what is important. And, thanks to Pablo and Plato for reminding me that “dusting” isn’t just needed on table tops—souls need it, too. And that beauty is all around me—I just need to behold. And, so, I ventured forth—another day in Paradise. Another beautiful day on Whidbey. A week earlier I was out and about looking for a llama farm and was lost and—thanks to my no-GPS sense of direction—ended up (luckily) at the Comforts of Whidbey winery in Langley. I arrived late in the afternoon, while owners Rita and Carl Comfort and their sons were pressing grapes. The process was fascinating and their property was gorgeous. They all were so friendly and gracious in explaining things to me and, in conversation, ended up inviting me to join in their upcoming community harvest. Yay! The best day of getting lost—ever! So, this past Saturday morning found me breathing in the subtle winey smell of their acreage. As I looked over the landscape, with the Passage off in the distance, I wondered if there was anything more beautiful than a fog-shrouded vineyard. Or more specifically, this fog-shrouded vineyard. The sky was heavy and the surrounding colors popped with intensity, making the perfectly-perfect rows of spring-green grape leaves, slender tendrils waving in the breeze and blushing reddish grapes hanging heavily on the vines—simply breathtaking. And there it was…art in everyday life. Beauty all around me. And my dusting began. After a brief tutorial, my fellow harvesters and I set off down the rows, buckets and clippers in hand. 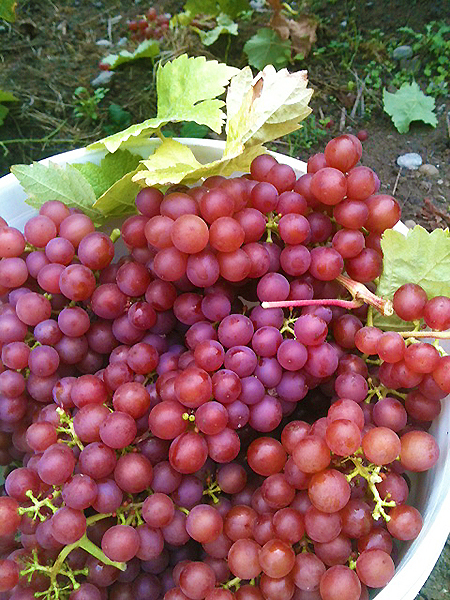 The fruit was mostly concentrated on the bottom sections of the vines and hung down in tight, heavy bunches. Snip, snip! 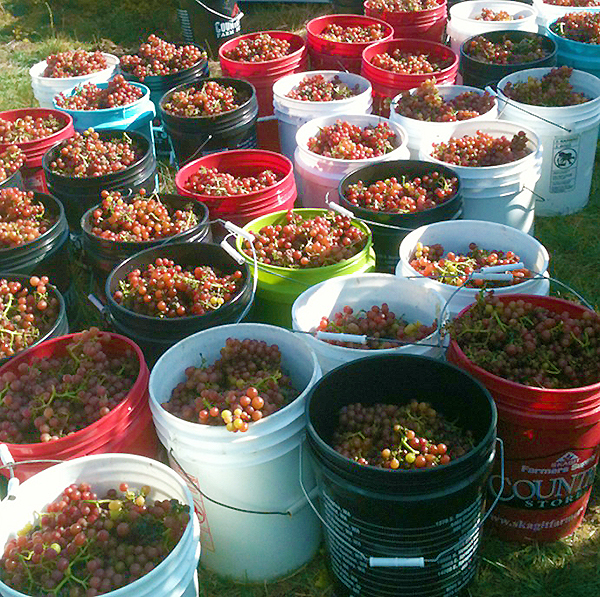 The rhythm was dance-like as each picture-perfect bunch was snipped off the vine and tossed into a nearby bucket. Scores of bees hummed around us as we continued down the rows, one person on either side of the vine, snipping and chatting, oohing and ahhing as the buckets filled. 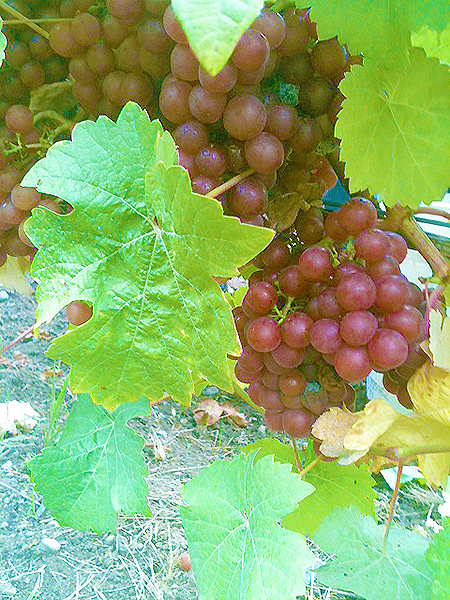 The vines were full, vibrantly green; the grapes—the fruiting berries of the vines—were plentiful and orbital with a juicy heft to each bunch. We took photos of the grapes, each bunch prettier than the next, each bucket more gorgeous than the last. 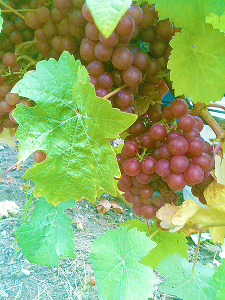 But it wasn’t just the rows upon rows of vines or the succulent fruit hanging from them—almost sensual in their feel, as one harvester commented—it was the community spirit, the tinkle of laughter that punctuated the free-flowing conversations; it was the giving back and going forward, the camaraderie, the rush of trying something new. It truly was a beautiful experience. The dusting continued. I wanted to stay and finish out the afternoon but I’d promised myself I’d go watch the South Whidbey Cross Country Invitational—perhaps an odd thing to do since I didn’t know anyone on the 38 teams…but my kids used to run “cc” in high school and it was one of those nostalgic things I was needing to do. The autumnal pull was strong and it was the perfect day for a meet. And, again, beauty—all around me—from the cloudless blue skies and colorful tents that dotted the fields (looking like small hot air balloons ready for takeoff) to the lush vegetation of the race course with its early fall hint of yellow and red speckles, and the palpable community spirit of all the attendees. I watched the kids race by, with tears in my eyes, remembering those long-gone days and I marveled in the runners’ agility, strength and youth. They were as fluid as a running stream—an undulating synchronization of muscle, sweat, and determination. After the race I meandered back towards home, winding my way down forested and prairied roads, ending up back in Langley. I stopped in some of the art galleries and shops and then sat awhile, listening to the various Django jam sessions happening here and there. The musicians were talented, the music was lively and the instruments were beautiful. What a lovely and fabulous way to end my afternoon. Art all around me. 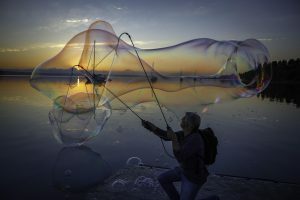 If art washes away from the soul the dust of everyday life, then consider Whidbey a gigantic washing machine! Art in its many forms, beauty abounding, grapes and galleries, motion and memories and a bit of gypsy jazz. My soul was renewed and dust-free. Thanks, Whidbey, for another beautiful day! 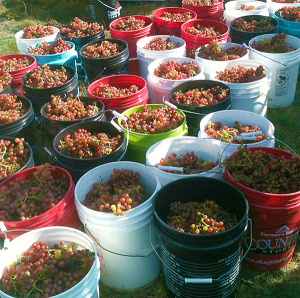 If you want to experience the fun and beauty of grape harvesting first-hand, Comforts of Whidbey winery could use more help this next Saturday, Sept. 27. Email Rita or Carl at: comfortsofwhidbey@gmail.com. Les McCarthy is an author, tutor, life coach and an IPPY bronze medalist for her yearly health and nutrition calendars. She is a recent transplant to the island and is busy loving every glorious moment along with tending to the needs of her voracious local deer and slugs on a daily basis. 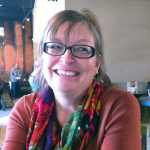 Great blog…I can’t wait to read the next one!! I LOVED this article so much it almost makes me want to uproot my entire Canadian family, where were are surrounded by breathtaking natural beauty, and move to Whidby to experience the art and beauty of your world. Your descriptions of the fruit make me weep with nostalgia and actually had my mouth watering – soooo close to the explosion of that succulent burst of sweet flavour. Thank you for dusting off my soul with your talented writing. Loved it. Can’t wait for your next entry.